Ghizzano, Italy is a charming little town in Tuscany. 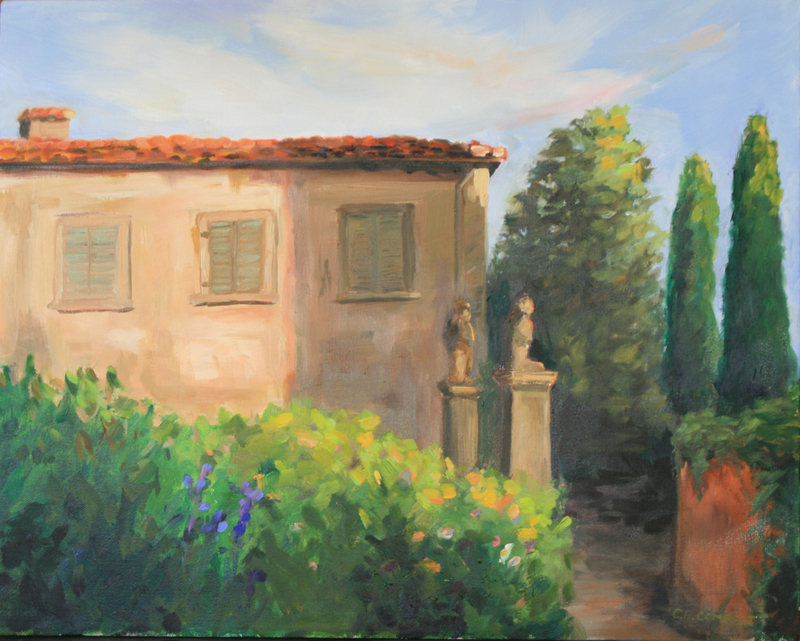 The Villa Ghizzano in this painting sits in the middle of town- original home of the Conte Pierfrancesco Venerosi Pesciolini. Oil on canvas. Framed in gold leaf.